China Miéville enjoys writing science fiction because it allows authors to tackle bigger societal issues on a grand scale. His newest book, Embassytown, does exactly that on a distant world outpost. The world is so distant and different, it can only be reached by means of inner space (called the immer) and a method not unlike early colonial ships crossing the Atlantic. Perhaps that is what creates the illusion of familiarity against a complex world where the occupants of this outpost are as uniquely alien to their home worlds as they are to the native population. Here, the Ariekei are nothing like humans. And, in developing a means to communicate and understand each other, generations of humans have bioengineered humans that some might consider equally alien. The complexity of language on Embassytown. The Ariekei are sentient beings unlike any other encountered by science fiction fans. They are larger than humans and have hooves, wings, fan wings, and eyes like a fan of coral. Exotic appearances aside, they are even more unique in that they have two mouths that speak simultaneously but have no capacity for abstraction — they cannot lie, not even in uttering a metaphor. They also cannot understand language that consists of a single voice. To them, it's merely chatter, not even sentient. In fact, the primary character, Avice Benner Cho, sometimes wonders if they see her as a person or a mere pet or extension of bio-engineered twin-clones who serve as ambassadors capable of speaking in unison. It's Miéville's imagining of communication that becomes the primary focus of the book. It seeps into everything from the class system that develops on the outpost to the interplanetary preemptive political dispute that almost dooms the planet and its population. Lurking the background of an already complex setting on a world where biotech is infused into everything, the home world develops a plot to cut the middlemen — Embassytown ambassadors — out of the equation in order to quell any thoughts of independence. The thinking, simply put, is that a more direct relationship between the natives would render the colonials irrelevant. The have sent an ambassador who is technologically enhanced, but not twin-clones. The unexpected side effect in an attempt to control. The fallout of the new ambassador is dramatic. While the Ariekei had been attempting to teach themselves to lie in an effort to communicate beyond their restraints, it is the new ambassador that opens the box. Unhindered by the constraints of Embassytown ambassadors, the new ambassador is able to better speak Ariekei with metaphors and lies that literally induces a drugged state among the native population that carries with it an intense addiction. The addiction doesn't only affect the Ariekei, but also the physiology of their bio-tehnology. The addiction is ferocious, inflicting euphoria while it's spoken and strung out mindless aggressiveness or hopelessness when it is not. As the town begins to fail, Avice, who has secondary status as someone who can navigate the immer and special status among the Ariekei, sides with the only faction inside Embassytown with enough fortitude to stop it. A mere sliver on author China Miéville. Miéville is an award-winning English fantasy fiction writer (sometimes called weird science) who has an explicit intent to move fantasy away from J. R. R. Tolkien's influence. Some of his fascination with language stems from when he lived in Egypt, teaching English for a year. To some degree, European and Middle Eastern relations, at times, are as profoundly different beyond language. However, that does not mean Embassytown carries with it some secret political messages (of which Miéville is sometimes accused). On the contrary, the story is more closely aligned with the history of early colonialists and their attempts to serve the best interests of both the natives and the civilization they represent. 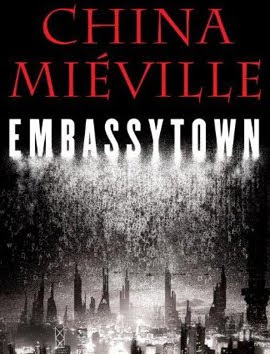 Embassytown By China Miéville Translates At 7.9 On The Liquid Hip Richter Scale. People who aren't familiar with science fiction ought not be frightened away from Embassytown. Just below the surface, Miéville keeps a reasonably familiar historical contexts within reach. It's the overlaying layers of window dressing that make it all sound so new and foreign. Of course, the first quarter of the book will likely convince some people that the review isn't accurate on that point for the same reason Embassytown doesn't place even higher on the scale. It's a great book, with the exception that Miéville takes too long to paint the backdrop with the first-person, past-tense accounting of the planet, universe, and personal life. So be forewarned. It isn't until the ambassador arrives that the storytelling ends and the story really begins. Embassytown is available at Amazon. 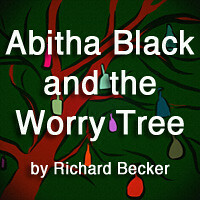 The novel can also be found at Barnes & Noble or downloaded as an e-book from iBooks. For an even richer experience, Embassytown's presentation as an audiobook is infinitely interesting. Although the producers use the effect sparingly enough, they occasionally slip in the unfettered Ariekei with its two simultaneous voices, creating an auditory illusion that you'll never forget.